The Bangabandhu-1 satellite weighs over 3500 kilograms and will carry 40 Ku and C band transponders which will help in direct-to-home transmission and provide V-sat services to Bangladesh. New Delhi: Bangladesh is all set to join the space club when its first communications satellite is launched into space using the Falcon-9 rocket on Thursday from the Kennedy Space Centre, Cape Canaveral, Florida, USA. The satellite bears the symbolic name of the Father of the Nation of Bangladesh, Bangabandhu Sheikh Mujibur Rahman. An upgraded version of the Falcon-9 rocket, made by SpaceX, will be used for the launch. The satellite will empower the economy of Bangladesh through revenue generation from the new sectors and usher in a new digital era for Bangladesh. The Bangabandhu-1 satellite weighs over 3500 kilograms and will carry 40 Ku and C band transponders which will help in direct-to-home transmission and provide V-sat services to Bangladesh including phone services, backhaul, radio, direct-to-home TV and Internet. This geostationary satellite will finally hover over Bangladesh but will have a much larger footprint, even covering India. Bangladesh will now join Sri Lanka, Afghanistan and India to own its communications satellite. Pakistan is also gearing up to launch its first communications satellite called Pakistan Multi-Mission Satellite (PakSat- MM1). In South Asia, only India has the capability to launch its own satellites. Incidentally, Bangladesh could not have used the services of the Indian rockets as the Bangabandhu-1 satellite it is launching is heavy and India's larger rockets are still not ready for commercial hiring. The satellite has been ordered by the Bangladesh Telecommunication Regulatory Commission at a cost of about $ 250 million. The satellite has been made by Thales Alenia which is a Franco-Italian aerospace manufacturer located in Cannes, France. In 2017, India had made available for its neighbours the South Asia Satellite from this communications satellite one transponder was to be used on a dedicated basis by Bangladesh. The South Asia Satellite is a pet project of Prime Minister Narendra Modi since it was he who 'gifted' the satellite for India's neighbours. It is not clear how much of the ground infrastructure Bangladesh has put up for the effective utilisation of the services of the South Asia Satellite. But from the beginning itself Bangladesh was dragging its feet and now it seems clear why they were slow in uptake of India's largesse as they were getting ready to fly their own bird in space. The Bangabandhu-1 satellite will have a life of 15 years and a statement by Thales Alena says "its coverage area includes Bangladesh and surrounding regions. Positioned at 119.1 Degrees East, the system will provide Ku-band coverage for Bangladesh and its territorial waters in the Bay of Bengal, India, Nepal, Bhutan, Sri Lanka, the Philippines and Indonesia. It will also provide C-band capacity for the entire region." This should be worrying for India since now there will be commercial competition from a neighbour who could provide competitive pricing for satellite-based services. Till now, most of the satellite-based services for the region were hired by India's neighbours on Indian satellites. India will not only lose out on earnings but with a competitor in the offing pricing of Indian satellite based services may also take a hit. 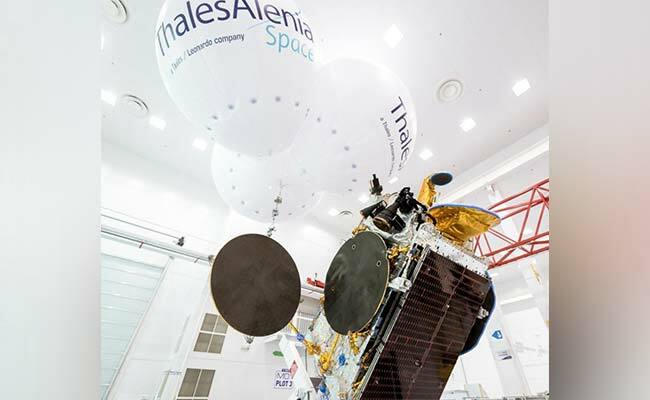 Thales Alena which is providing a kind of a turnkey offer of end-to-end services says in statement that "once Bangabandhu satellite-1 is operational, Bangladesh will be autonomous in terms of telecommunications and broadcasting services, being able to offer communications services to many foreign countries such as Nepal, Myanmar or Bhutan under its coverage area." In addition, on November 30, 2017 Bangladesh made another big leap in use of high technology when it began construction of two nuclear power plants at Rooppur, these 1200 MW plants will be made with Russian assistance. Costing about $ 13 billion, these will be ready in the next five years.